Leading Manufacturer of shoe display racks from New Delhi. 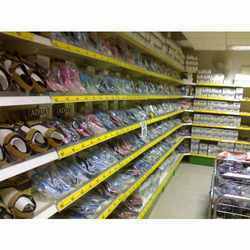 We are one of the known organization engaged in offering superior quality Shoe Display Racks are made from high quality of raw material which ensures durability at its user end. These products are available in market at reasonable prices. Looking for Shoe Display Racks ?